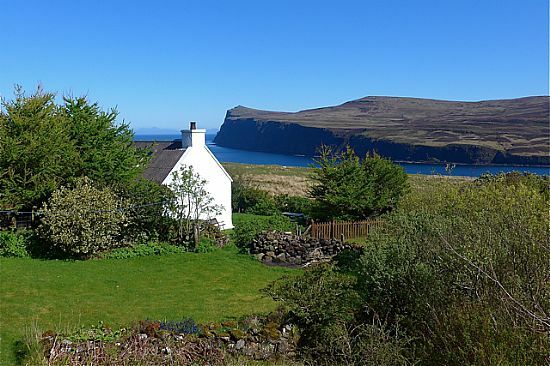 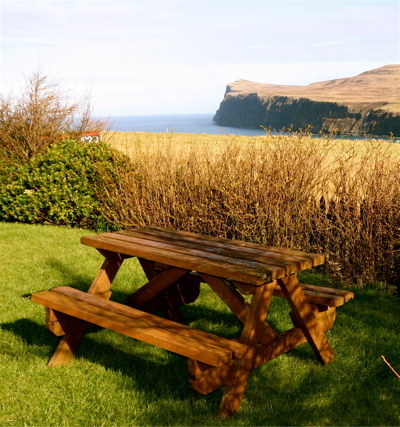 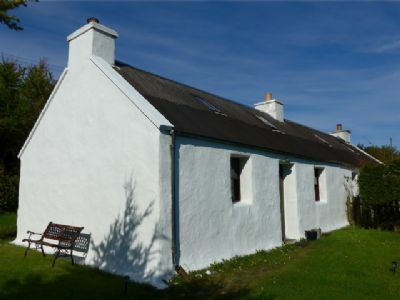 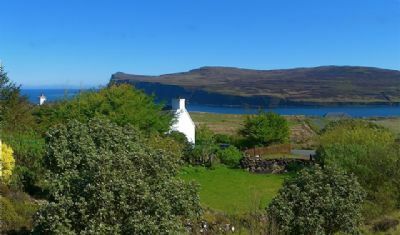 Situated in the peaceful hamlet of Lower Milovaig with commanding views over Loch Pooltiel and dramatic Dunvegan Head to the Outer Hebrides. This cosy cottage has been completely renovated but retains its traditional style. 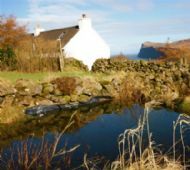 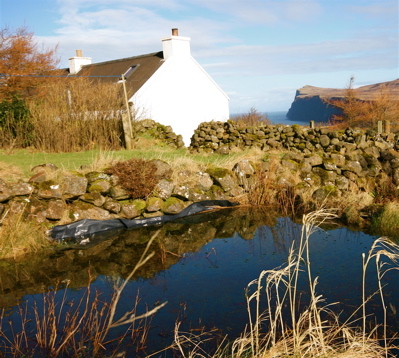 Ideal base for walking, birdwatching and fishing.The village of Glendale is two miles away where there is a shop and post office and two cafes, Meanish pier is a quarter of a mile away where there is a slipway for launching boats. Kitchen/living room, bathroom and toilet, one double bedroom downstairs with traditional box bed and twin attic bedroom (access by steep stairs). 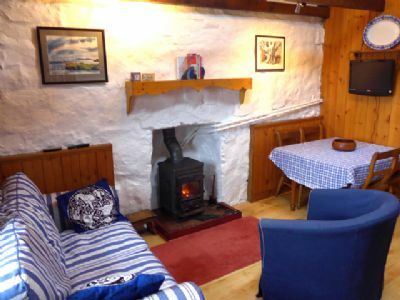 Gas cooker, fridge with ice box, Morso stove which supplies heating and hot water (electric water heater also), large fenced garden with garden furniture, parking for two cars, TV, DVD, music system with ipod dock. Internet access can be provided nearby. 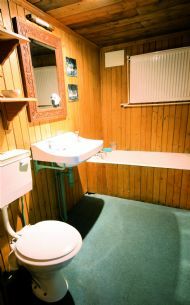 Pets welcome (under strict control please) hand towels and bed linen provided, use of washing machine and freezer nearby. All fuel & power included. 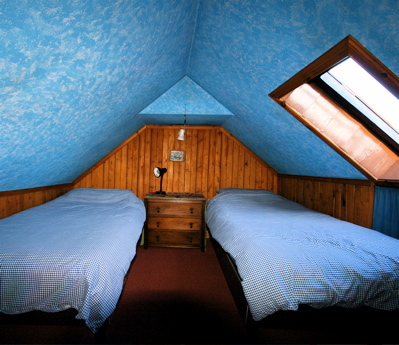 Rent £350 per week £100 deposit per week booked secures your booking. 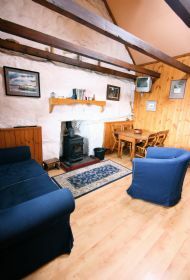 Low season short breaks at £60 per night.